If you can read this, dont touch the following text fields. The Ultimate Rider Rewards is an exclusive loyalty rewards program brought to you by Bavarian Motorcycles Centurion only. It is a superb enabler of the BMW Motorrad lifestyle - as it offers customers substantial discounts of anywhere between 5-10% on purchases of BMW service parts, BMW rider gear and BMW original parts (excludes the purchase of a motorcycle). Get in on the exclusive Ultimate Rider Rewards for cash back with every purchase at Bavarian Motorcycles. Any customer, who buys a BMW Motorcycle from Bavarian Motorcycles Centurion, is issued with an Ultimate Rider Rewards loyalty card. Every purchase from that moment on, will earn you cash back rewards that you can redeem in the form of a discount - on your very next purchase. The earned cash back can be redeemed within 24 hours of each purchase. Upon receipt of your Ultimate Rider Rewards card, you will be able to register your account online - so you can track your loyalty points. You may opt to let your loyalty points accrue for use at a later stage - as long as you redeem it within 12 months. The online system is set to show you when your points will expire. You may redeem your loyalty points in the form of discount on any next purchase of any BMW gear, accessories and parts at Bavarian Motorcycles Centurion only. Your rewards cannot be used to buy any items that are already discounted or on promotion. It can also not be used for the purchase of a motorcycle. For more information on the Ultimate Rider Rewards loyalty program, do feel free to speak to any of our sales consultants. A comprehensive selection of pre-owned motorcycles that bears the esteemed BMW Motorrad stamp of quality and approval. Keep your BMW Motorcycle in mint condition with a Bavarian Motorcycles Extended Warranty. 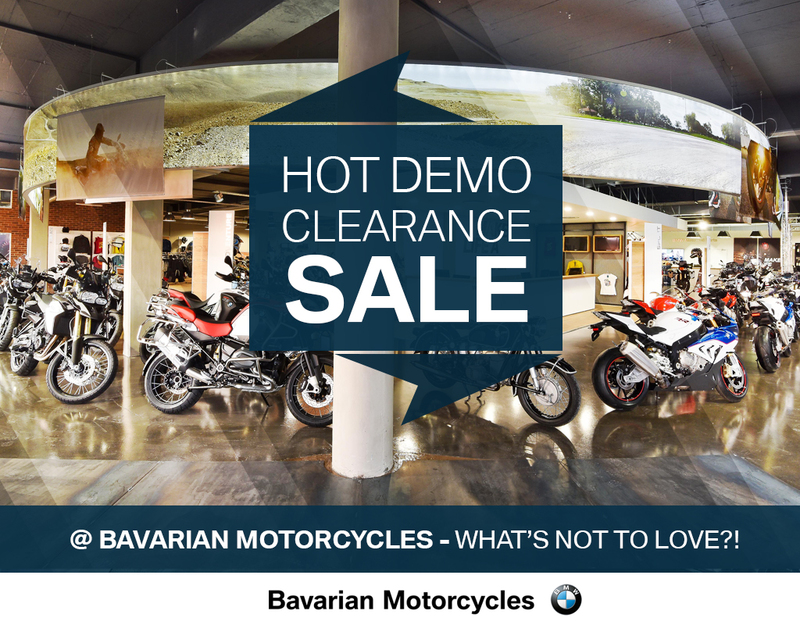 Book a test ride on your dream motorcycle before you buy at Bavarian Motorcycles in Centurion. Sign up for our newsletter to be kept up-to-date on promotions and news from Bavarian Motorcycles. Note: All motorcycles are supplied only with equipment required by law (e.g. reflectors as per Euro 4 standard). The motorcycles depicted in the pictures and videos on this website may not show all required equipment. ©2016 Powered by Prospero360 All Rights Reserved.